The Prince and the Widows Nigerian movie Part 2. This is sequel to the movie "The Three Widows". The Nollywood movie has four parts which are: The Three Widows 1 & 2, The Prince and the Widows 1 & 2. Nigerian Movies Online FREE. The primitive culture of Maguda kingdom is affecting the princes' choice of a wife, he ignores the kings, and makes his own choice. All hope is lost when neither of his two wives were able to give him a son as the custom of the land demands. Could there be a conspiracy in the kingdom and who could be the solution to this abominable act? Watch what happens, with a surprise twist. 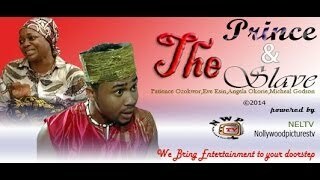 What do you think of the Nollywood movie The Prince and the Widows? What would you rate the quality of the story depicted in the Nollywood film? How well did your favourite Nollywood actresses Oge Okoye, Queen Nwokoye represent characters in the film? We'd love to hear your review, criticism, or support in the comment box below. As a rule of thumb, don't forget to use the 5-Star Rating feature at the top of the video player to rate the Nigerian movies you watch on our movie network! Your comment please what happens to the prince death? @David thank you for your comment. It really does not matter which platform you watched 'The Prince and the Widows Nigerian movie'; you can even watch the DVD at home, and still share your opinion (feedback) about the movie here on Nigeria's movie network. Nollywood is one big global family, and collectively we all are helping to spread the love of Nollywood globally, and that includes Nollywood fans. Nevertheless, glad to know you enjoyed the movie. Since you regard it as the best movie you ever watched on IROKO TV, we hope your opinion is not biased because this movie is really just the beginning of the many Nollywood awesomeness! There are over 1000 FREE full-length Nigerian movies on our Nollywood movie platform, we hope you enjoy each and every one of them, and also share your feedback, review, or even criticism about each Nigerian movies you watch - this we believe will help Nollywood film-makers continue to improve in directing and producing. Good luck! the best movie ever watched in IROKO TV. extreme good to learn from and the kind of people around you. @Belinda, thank you for commenting on the Nigerian movie you just watched. The Prince and the Widows tells a very good story that many would relate to. BTW, beautiful Nollywood actress Queen Nwokoye was born on the 11th of August in Anambra State. She is from Ihembosi, Ekwusigo LGA. She started acting in Nollywood back in 2004 and her first movie was a comedy titled "Nna Men" with John Okafor (Mr Ibu). Very very good movie. I liked it a lot.Queen Nwokoye is my favorite.I could conect with her emotionally. Very good and beautiful actress.